Oi YOU! - the driving force behind Christchurch and Adelaide's recognition as international street art cities. Both Christchurch and Adelaide feature in this new publication and Oi YOU! is noted for their part in building the street art culture in both cities. 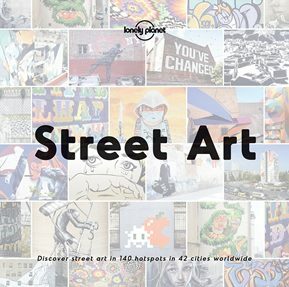 Christchurch is ranked alongside New York, Barcelona, Berlin and London as one of the street art capitals of the world in a new Lonely Planet book. The book names Christchurch as one of 39 cities around the world with a rich street art scene. It credits the birth of the Christchurch street art scene with the 2011 Canterbury earthquakes and the RISE street art festival and exhibition in 2013.